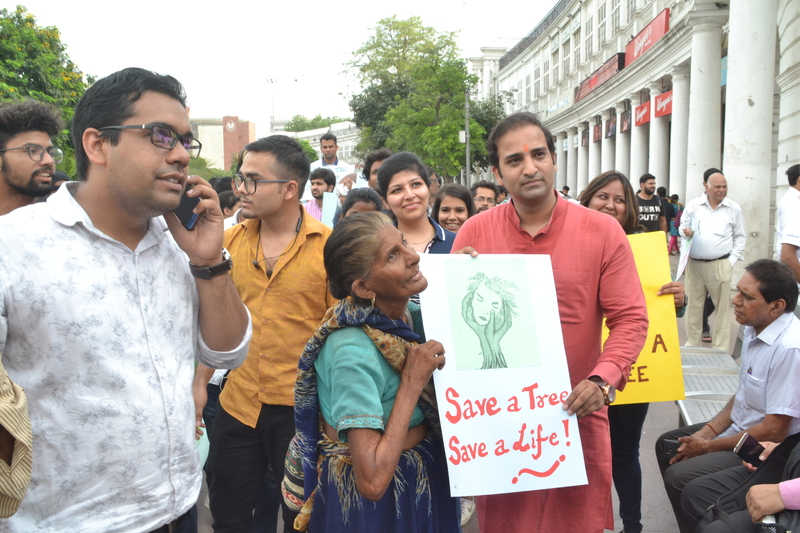 New Delhi: We all know trees play a crucial role in improving our quality of life but in modern age cities unsightly structures and activities and hard lines of buildings have removed lush green natural trees. 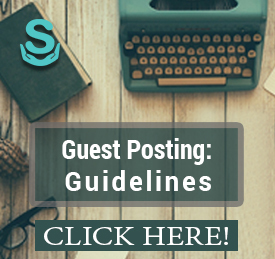 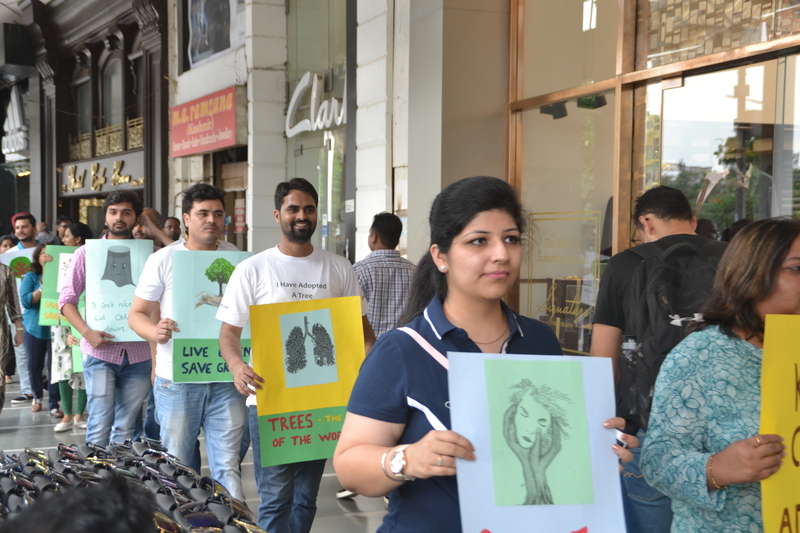 In this aspect, New Delhi based startup, Sabakuch.com launched a Green Delhi Drive along with a Adopt A Tree Campaign. 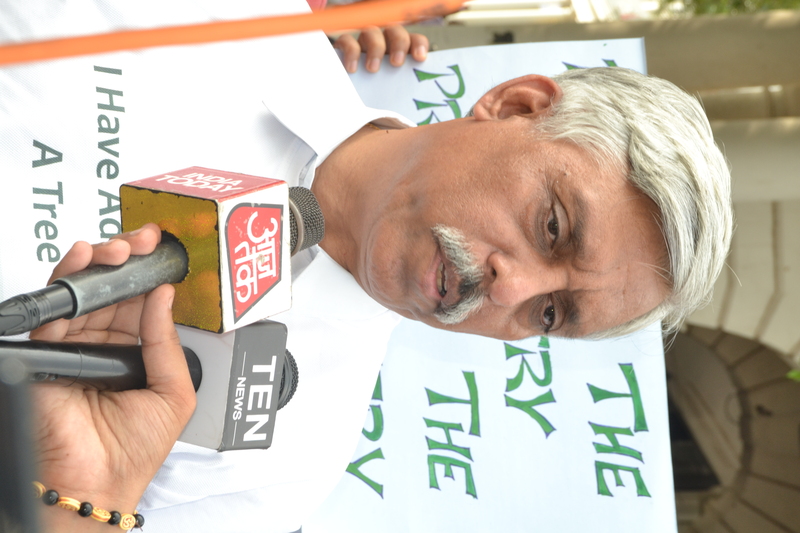 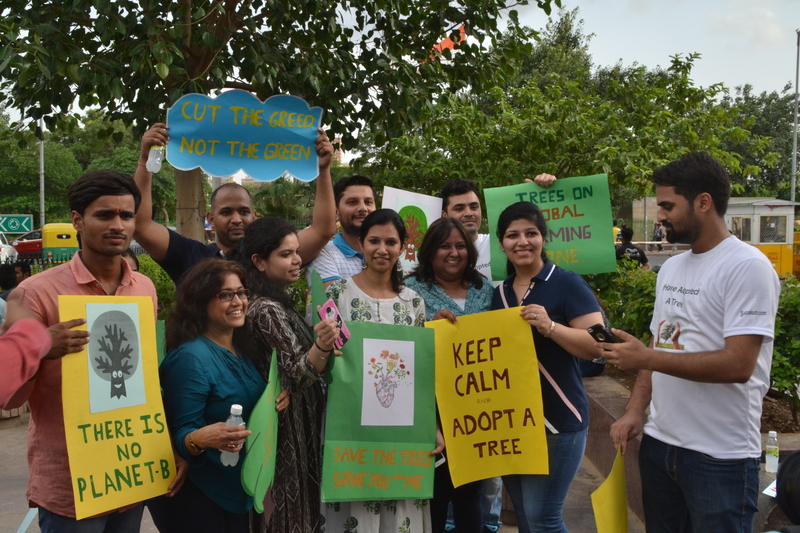 The campaign aims to make contribution to environment By being responsible for adopting a sapling or adopting it to life, and a positive mark on planet Earth. 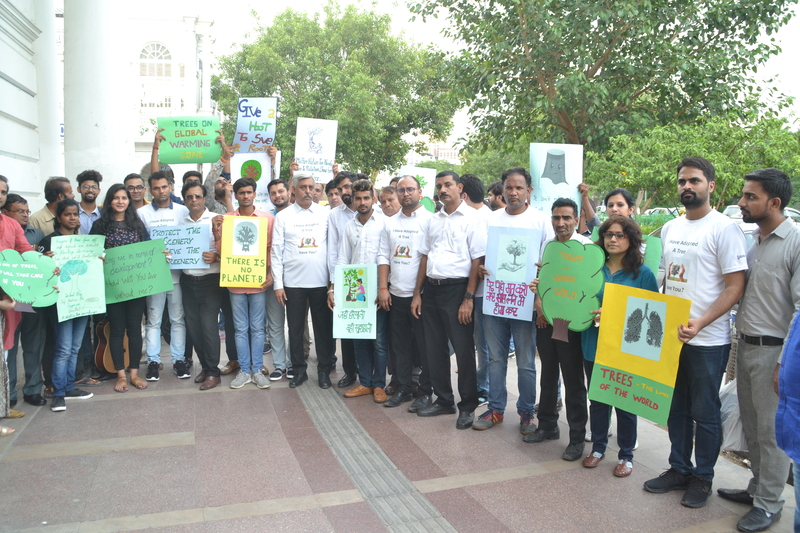 On Friday, Sabakuch took up a social cause under its Green Delhi Initiative, By Running a campaign with the title ‘’Adopt A Tree”, to spread awareness about deforestation, growing pollution and benefits of having trees in the city of Delhi. 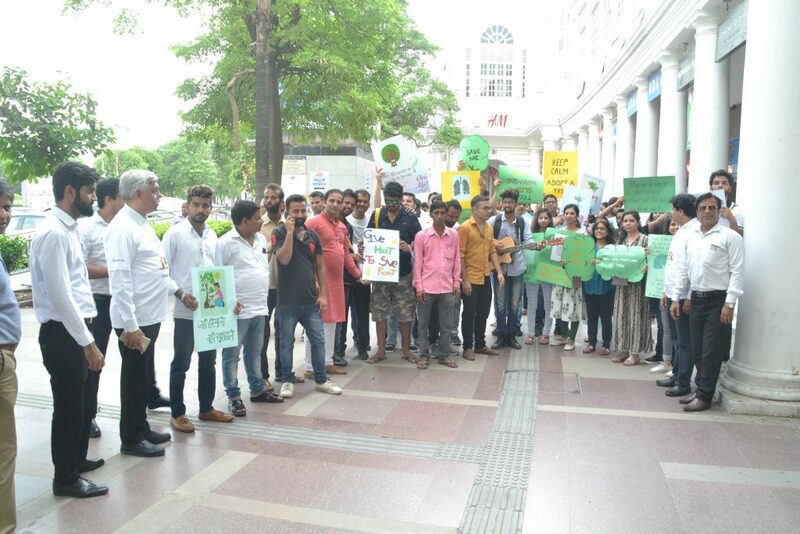 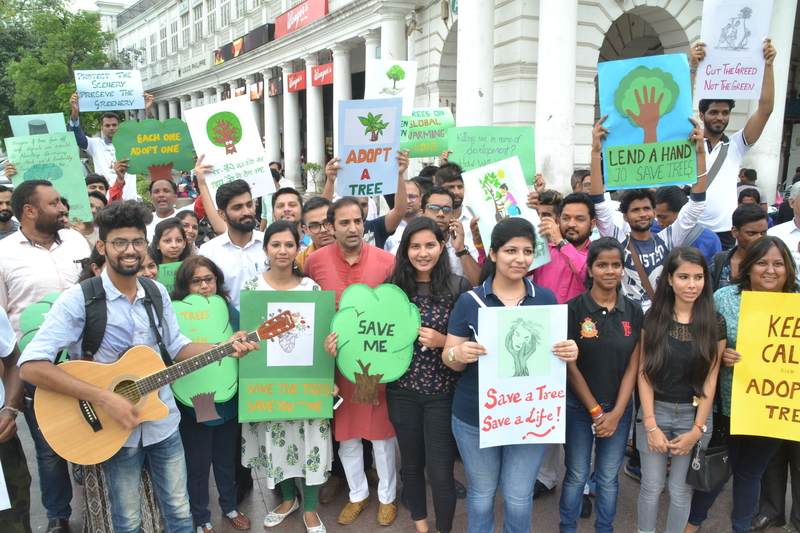 The volunteers formed a Human chain to save the Trees with placards to spread awareness and encourage the initiative at Connaught Place in Delhi.